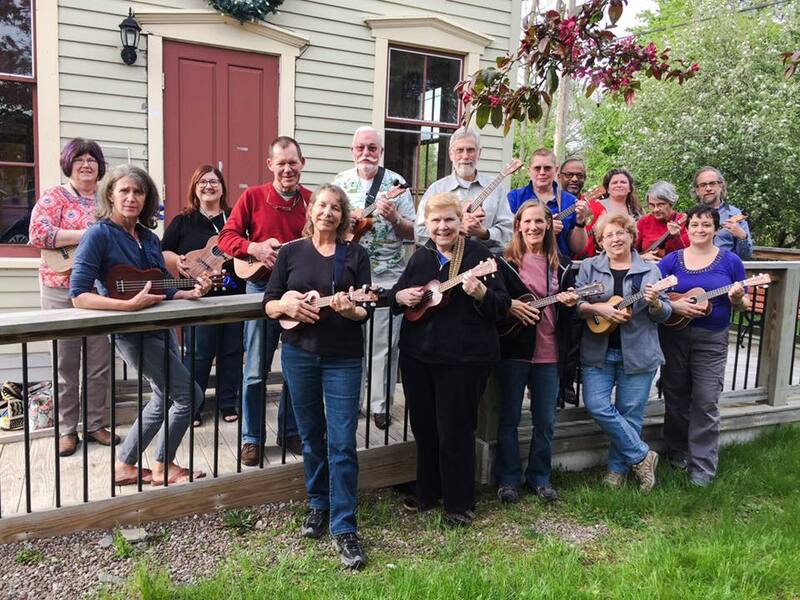 Salt City Ukulele is a community of ukulele enthusiasts in and around Syracuse, New York. 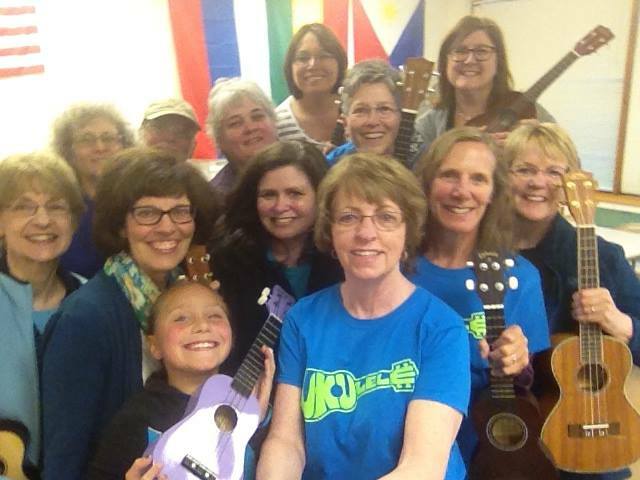 Fall, Winter, and Spring we meet once a week to learn new songs, have fun playing old ones, and teach what we know to new uke players. 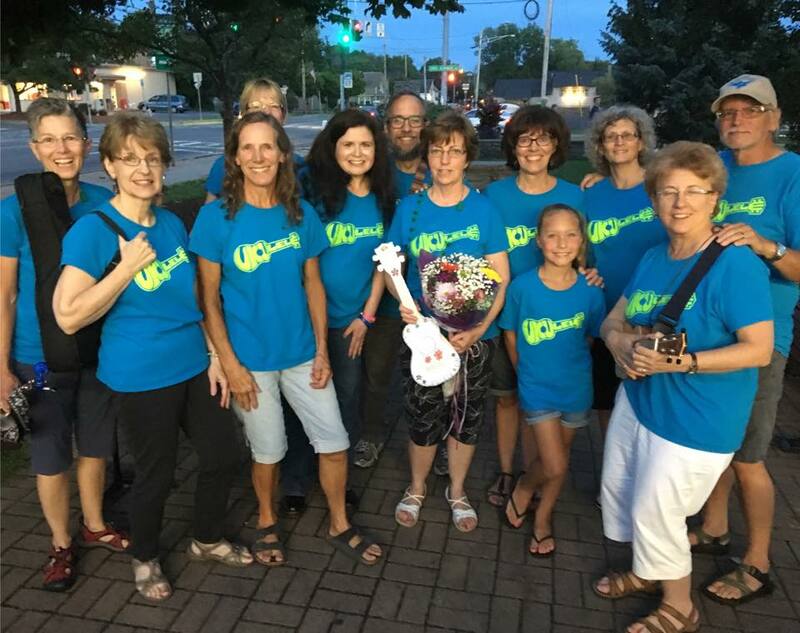 Summers we go every week to a different ice cream stand in the area to play and sing for our fans on the Ukulele and Ice Cream Therapy tour! If this sounds like fun, it is… Want to join us? See our schedule! 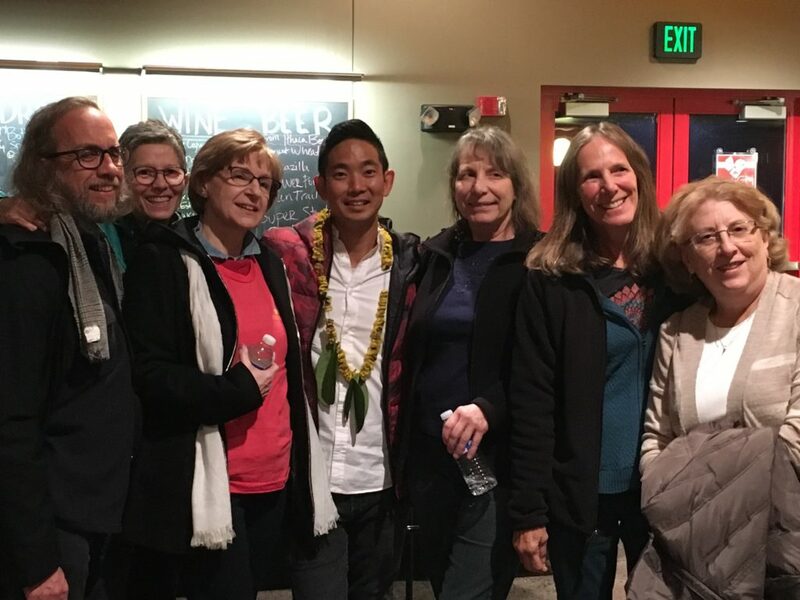 On April 18 SCU will NOT meet at our usual location. Instead we will meet at the old Jamesville train station, 6499 East Seneca Turnpike in Jamesville near the Depot convenience store. Enter through the door on the right side of the building as you come up the access ramp.